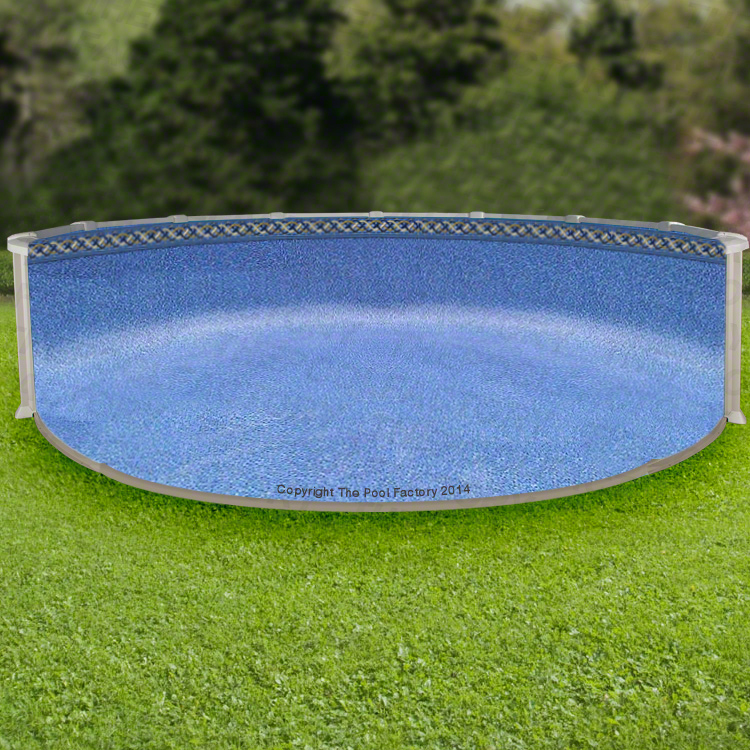 It’s essential that the Above Ground Swimming Pool is installed correctly to ensure many years of fun in the sun. 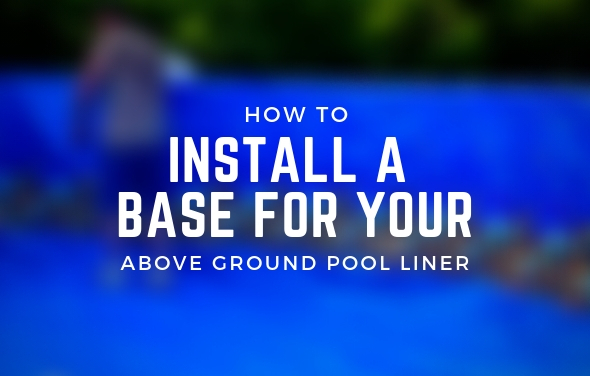 Many first time pool owners are who installing an above ground swimming pool for the first time have questions regarding how to properly install a base underneath a pool liner. 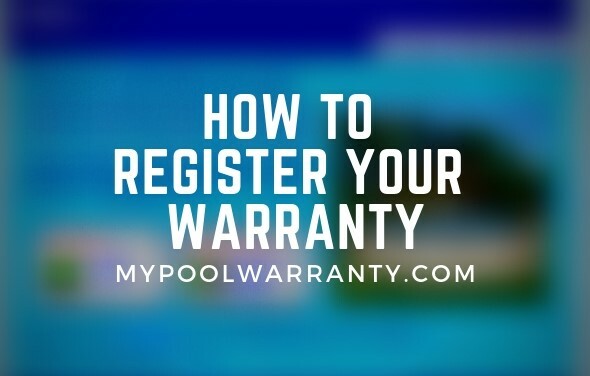 There are several options that can be purchased to give you years of pool fun and protect your pool for a much longer life span. 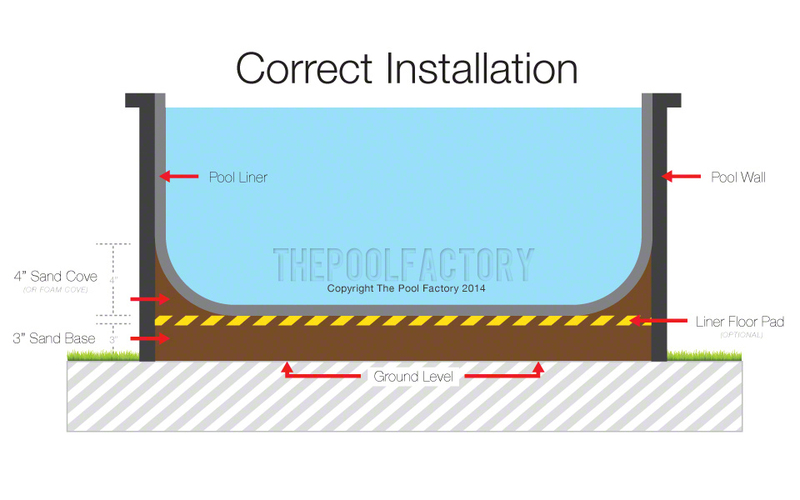 This article will illustrate the correct way install a swimming pool with a sand base, foam cove, liner floor pad and wall foam in order to make the installation go smoother and protect the pool liner and pool wall from being damaged. 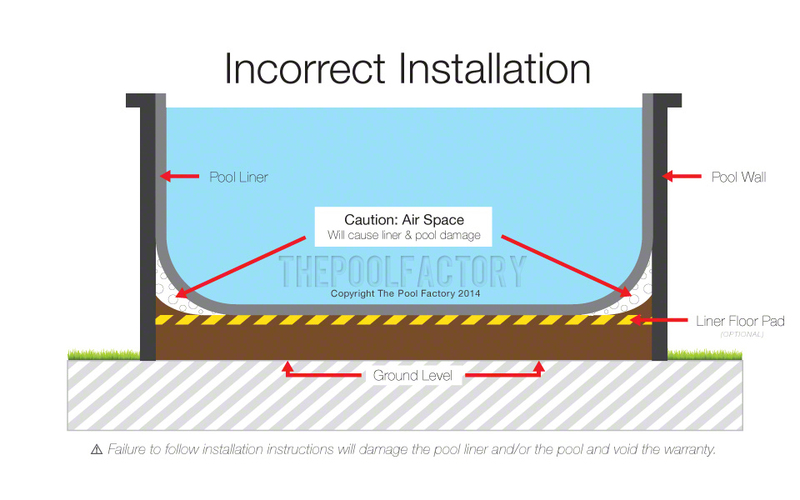 View the diagram’s below to see how the CORRECT and INCORRECT ways to install your pool liner. 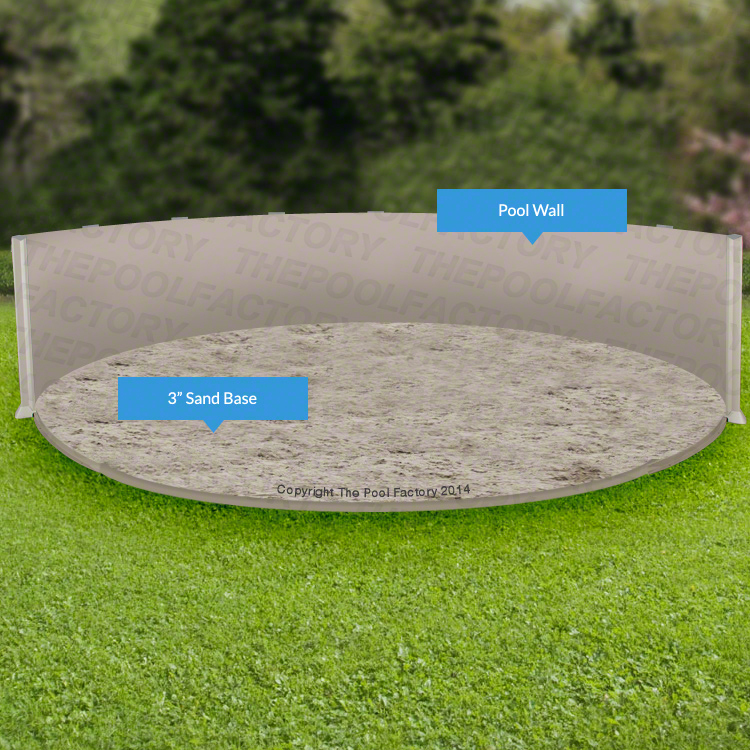 Using fine sand (free of rocks and debris), lay a 3″ thick bed of sand across the entire inside of the pool (wall-to-wall) this will form your base. 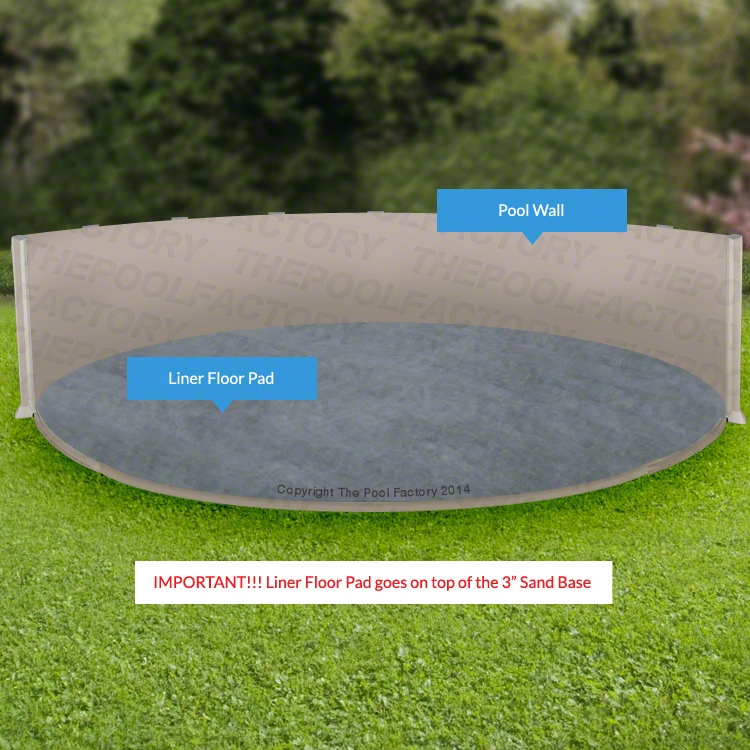 After installing the 3″ sand base, lay the liner floor pad on top. 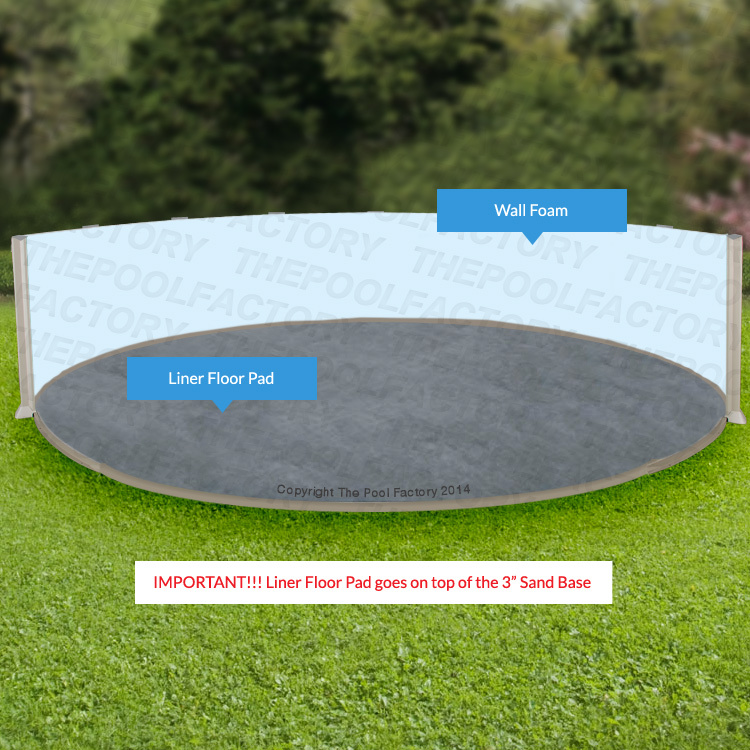 Please note your liner floor pad is pre-cut to fit your pool’s exact dimensions. 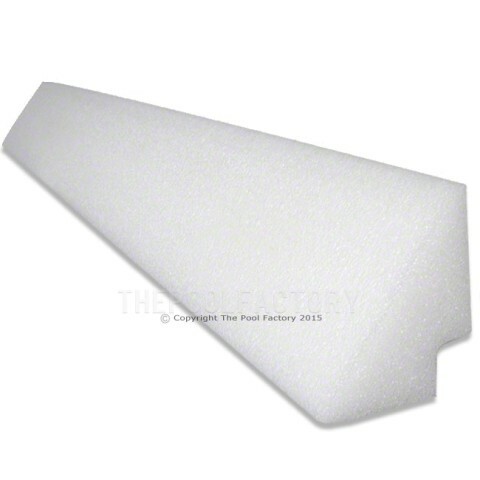 Using spray glue or duct tape attach the pool wall foam to the metal pool wall. 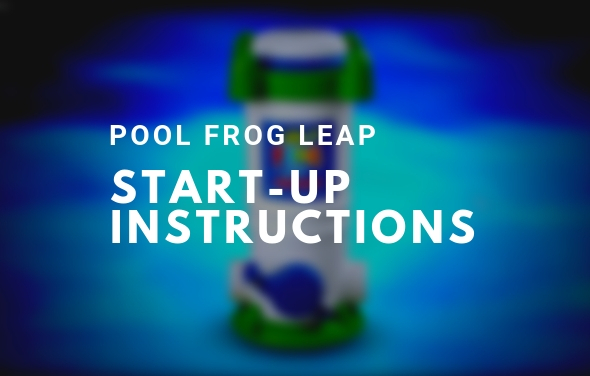 Start attaching the foam at the top of the pool wall. This will leave a small portion of the bottom of the pool wall not covered with foam but this area will be hidden with a sand or foam cove. 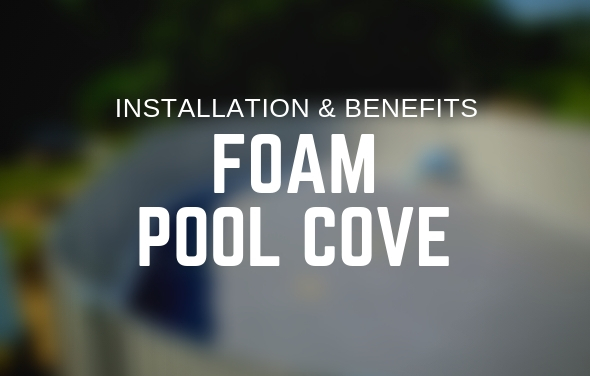 After installing the pool wall foam, attach the pool cove (foam) by removing the adhesive backing and sticking it to the metal pool wall directly on top of the liner floor pad (where the liner floor pad meets the metal pool wall). This is the completed above ground pool liner installation. 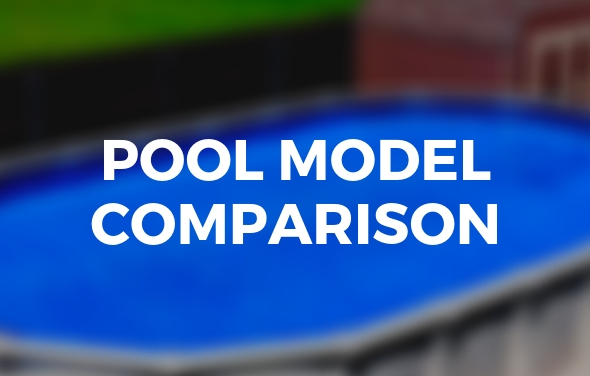 The vinyl pool liner should be completely supported by the pool base to avoid any stress or damage to it or the metal pool wall. 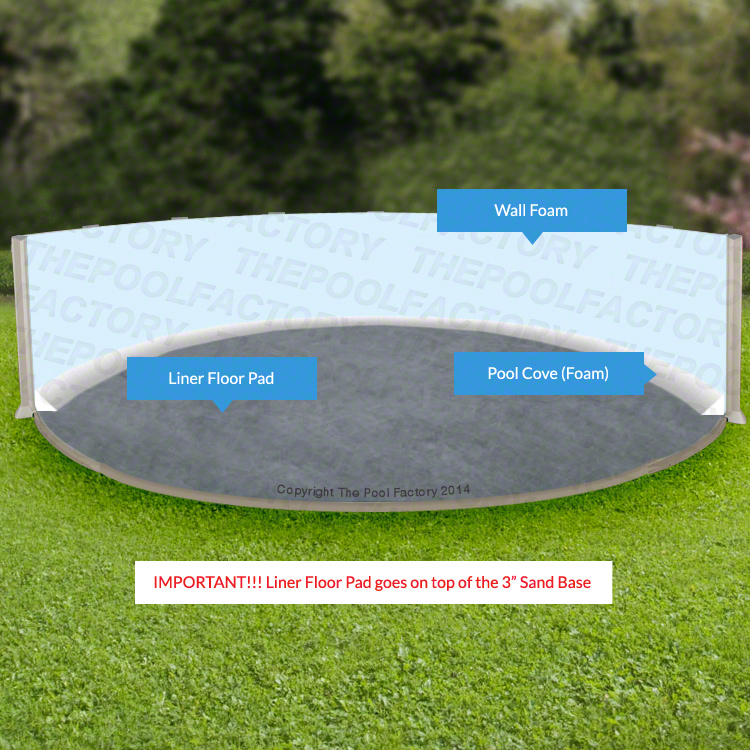 The following are links to various sections on our website ThePoolFactory.com where you can select pool liner installation items based off your above ground pool size. 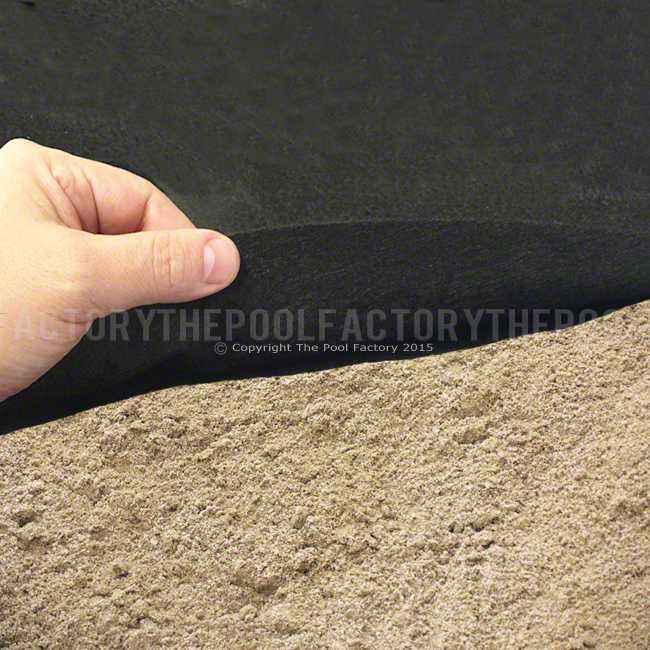 Liner Floor Pad is a tough Geo-Textile material that cushions and protects the bottom of the pool liner from sharp objects, such as roots and rocks. 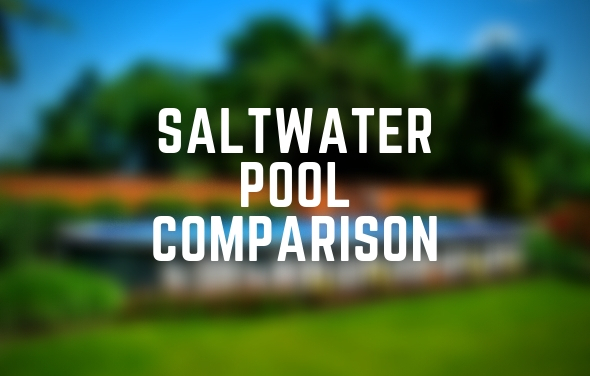 It’s pre-cut to fit your pool size and gets installed directly on top of the 3″ bed of sand at the bottom of the pool. 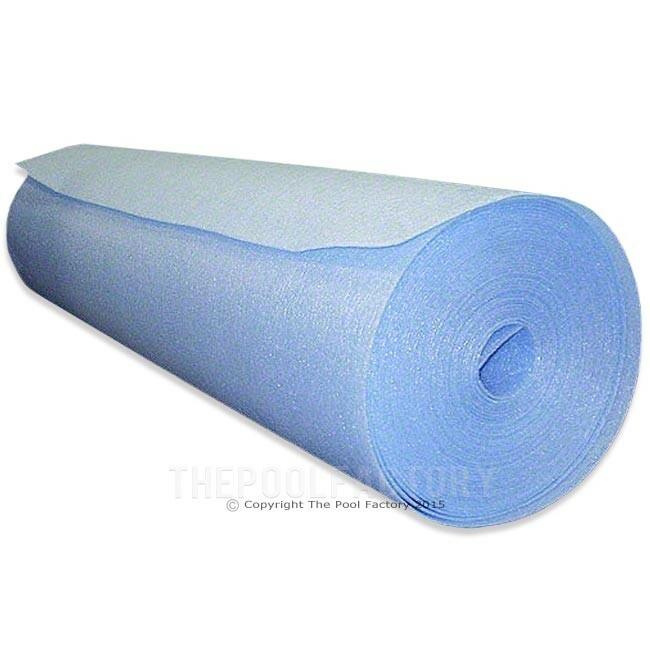 Pool Wall Foam is 1/8″ thick foam that gets installed between the pool wall and the liner creating a softer feel for swimmers. 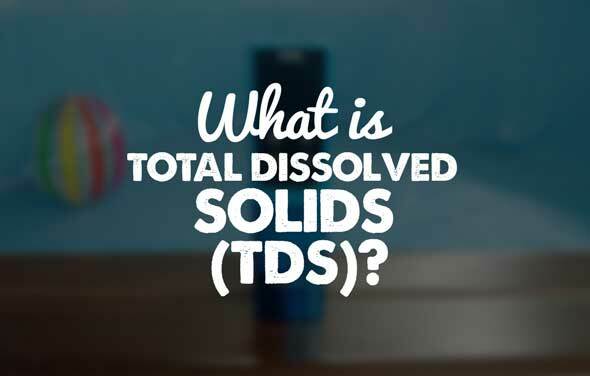 It also helps insulate the pool and may help protect the liner from possible punctures. 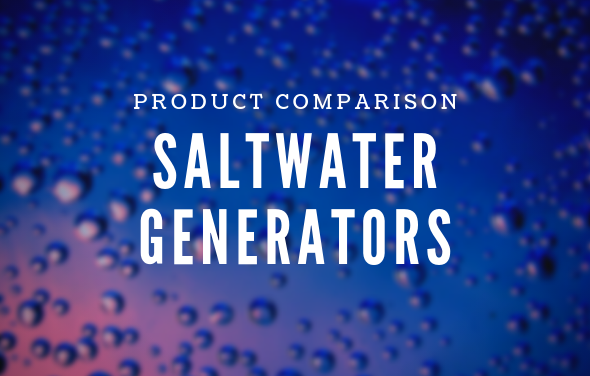 While shopping on our website if you have any questions about any of the products or sizes that you may need please don’t hesitate to contact us via Live Chat or our contact us form. 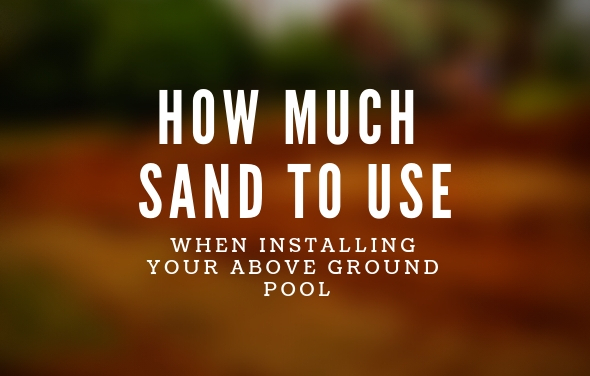 How Much Sand Will I Need For Pool Installation?